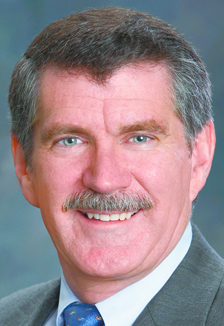 ﻿A failed attempt to keep federal regulators from curbing the use of human antibiotics in livestock won’t stop Rep. Denny Rehberg, R-Mont., from trying again, his office said this week. At issue is whether giving antibiotics to hogs and cattle makes the drugs less effective for fighting sickness in humans. Farm animals consume more than 70 percent of U.S antibiotics, which assures steady growth uninterrupted by illness. Critics of the practice contend that it promotes drug-resistant superbugs. The Food and Drug Administration has recommended limits. But Rehberg and livestock groups argue there isn’t solid evidence making a direct link between human health risk and dosing farm animals with antibiotics. Until there is evidence, Rehberg wants the FDA to back off. “The congressman’s perspective was that the FDA shouldn’t be making rules without scientific justification of those rules,” said Jed Link, Rehberg’s spokesman. The amendment passed, but fellow Republicans later pointed out the amendment used an appropriations bill to legislate, which is against House rules. The amendment was struck down, but during its short life took on an unexpected twist as nonfarm groups argued that its language was so broad that it prevented the FDA from regulating the marketing of tobacco to children. Rehberg clarified that preventing the FDA from further regulating antibiotics for animals was his only intention. His amendment was backed by letters of support from the National Cattlemen’s Beef Association and Montana Pork Producers Council. The “situation,” Miller explained, concerns a draft guidance proposed by the FDA in 2010. Guidances aren’t regulations and lack legal force, but they do reveal government intentions and can lay the brickwork for an eventual law. Guidance 209 called on the livestock industry to voluntarily begin limiting the amount of antibiotics given to animals. The Pork Producers balked, saying the guidance lacked scientific support. There are several groups on the human health side of the debate who disagree with the livestock industry’s claim that science hasn’t uncovered problems concerning drug-resistant bacteria and antibiotics for animals. Last year, the FDA, U.S. Department of Agriculture and Centers for Disease Control and Prevention reported to Congress that there were links between the routine use of antibiotics on farms and an increase in antibiotic resistance in humans. “We don’t want to get to the point where antibiotics don’t work and we’re stuck with nothing,” said Gail Hansen, a veterinarian and officer for the Pew Campaign on Health and Industrial Farming. A think tank, Pew launched “Moms for Antibiotic Awareness” earlier this year to push for animal antibiotic reform. Hansen is quick to point out that the American Medical Association, American Academy of Pediatrics and the World Health Organization are all concerned about dosing healthy animals with antibiotics. Pew would like to see antibiotics given to livestock only when animals are sick, not to healthy animals for the purpose of boosting growth. They would also like antibiotics used by humans cut from livestock use in most cases. The move would eliminate most of the antibiotics given to livestock today. The government began trying to curb the use of penicillin in livestock in the 1970s and has been trying to curb use of that drug and others ever since based on science, Hansen said. But “hard science” is something different, she said. It asks that a particular instance of a bacteria problem in humans be traced to a particular animal treated with animal antibiotics. That’s like saying tobacco isn’t a health hazard because a woman’s lung cancer can’t be traced to the exact cigarette that caused it, Hansen said.